California Scratch League Program is a competition for clubs held in the Fall. The league uses a format where every hole is worth 16 points–7 to the winner, 5 to second, 3 to third and 1 for fourth. Each player then competes against the other three players in the foursome. If all the players tie on a specific hole, each player receives four points. At the end of the season, the best team from Northern California takes on the Southern California champion in the finals. A decade later, Granite Bay Golf Club grabbed itself another title. 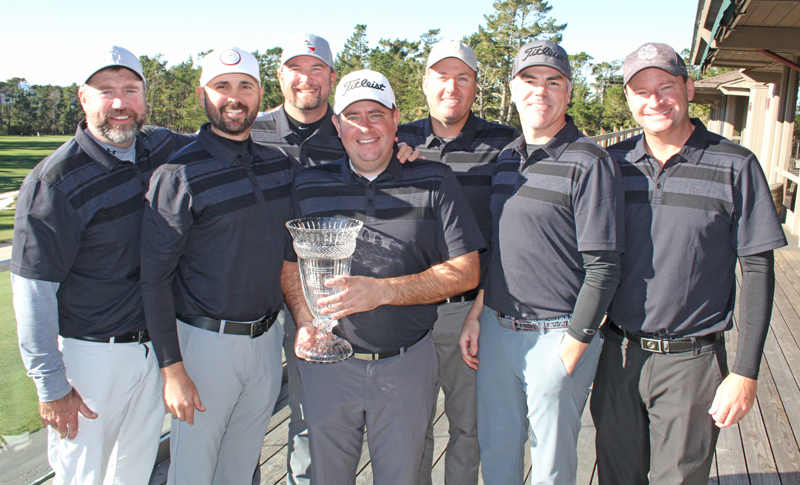 Granite Bay GC shot a team score of 41, easily outdistancing runner-up Saticoy Country Club, to capture the annual Calfornia Scratch League crown at Monday’s finals at par-71 Poppy Hills GC in Pebble Beach. It’s the second Scratch League title for Granite Bay, who won the inaugural season in 2008. Saticoy came in at 29, with Bear Creek GC placing third at 22. Fourth place went to Woodbridge G&CC at 20. Leading Granite Bay were Jon Peterson and Nicoletti, who each tallied seven points. Gary Deblaquiere and Jeremy Price each had six points, while Steve Hunter, Gary Dunn and Scott Colby all chipped in five for the champs. Woodbridge G&CC was paced by six points from Sean Bunnell and four from Kevin Wolf. The league uses a format where every hole is worth 16 points–7 to the winner, 5 to second, 3 to third and 1 for fourth. Each player then competes against the other three players in the foursome. If all the players tie on a specific hole, each player receives four points.